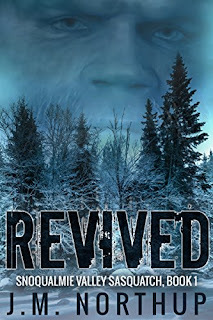 REVIVED is currently FREE for a Limited Time Only! When a mysterious friend reappears in the lives of cousins Hannah and Jenna, a haunting past is revived. 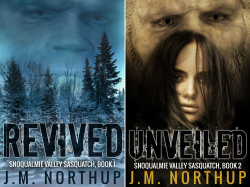 Tragic loss and prejudices lead to a search for answers about ancient myths that thrive in the Snoqualmie Valley of Washington State. Does modern science hold the key, or does the truth lie in something supernatural? Heartbreak and hope encourage an unlikely romance while drawing out the darkness of unexpected enemies, intent on unknown malice. Can the strength of their bond protect the friends from a fearful future? 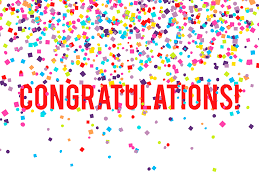 WINNER ANNOUNCED: FREE eBOOK PLUS AN eBOOK GIVEAWAY! 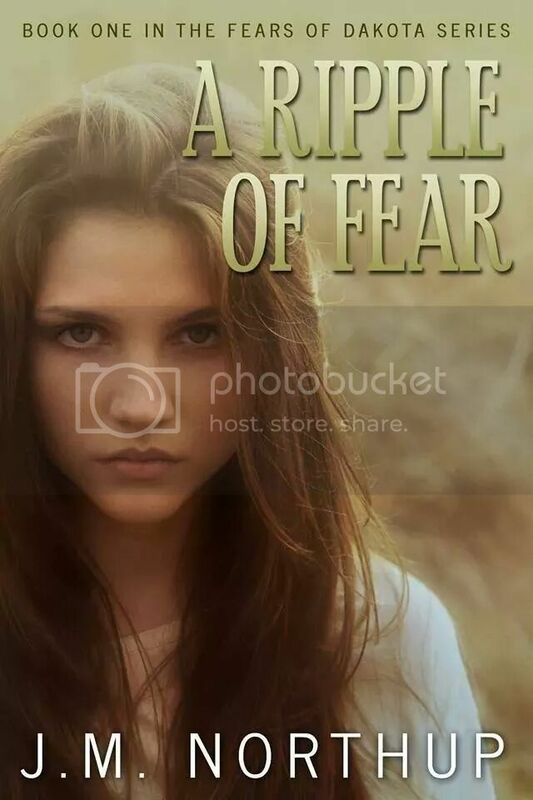 A RIPPLE OF FEAR is currently FREE! If you post a review on another page, send me a link via private message and I will include you in the raffle. For each review you post, you will be entered for a chance to win! In a world with fears stemming from catastrophes and terrorism, America faces its biggest challenge yet. Discord and apprehension are pushed to the extreme as ancient prophecies approach fruition. The world Dakota lives in is becoming unrecognizable: doomsday preppers grow more prevalent while government and local services continue deteriorating, eroding the security people feel in their lives and each other. As tensions grow, so does the paranoia that drives the nation to a crossroads that will change history. is a gripping story for readers of all ages. · My latest wip is provisionally titled Companion of Darkness, and is book one of a new high fantasy series set in the Neverwar universe. It’s set a long, long time before the series, and follows a young faeire girl called Jesaela, who is ripped away from her family to become the companion to the Eldar King’s daughter, Lyssa. · The main is Jesaela. She’s an innocent young soul who gets dragged into a dark and evil place, and has to overcome her fears to uncover the secrets to break an ancient curse. · I wanted to tell a story of how the darkness (the main enemy in the Neverwar series) comes about. There are a few characters in this book that are mentioned in Neverwar. Glyran the dragon, for instance, is one of the main characters. · Not at all. She’s a total fabrication. She will grow a lot in book one though, and has a pretty hard times ahead of her. · I love writing strong female characters. Katheryne from Tales of the Neverwar has received some great feedback in reviews of the books. I hope the same thing will happen here. Just that is set way, way before the events of even the prequel to the Neverwar, Origins of the Never. Book one should hopefully be out in the spring/summer timeframe. Ø Do you have a link available for buying it? Meet CJ Rutherford's Protagonist, Derren! · I don’t know. Are you real, or are you a figment of my imagination? · Hmm, there’s quite a lot. My name is Derren, and I was born around 1000 of your years ago, in the Regulan system, over 500 light years from here. My home system was wiped out by the forces of Tenybris, and when I died I was reborn as a Liberi warrior on the planet, Sanctuary. We were expected to battle the forces of Tenybris, blah, blah, blah. For me, it was all about finding the girl whose face had been haunting my dreams for decades. · The majority of it is set in modern day Earth, in a city called Belfast. Nice people by the way. Very friendly, and the beer is lovely. There is a second story that runs in parallel with mine, but it’s set in the fantasy land of Teralia. I don’t have much to do with that world, so I won’t talk too much about it. · As I said, to find the girl and protect her from the forces of Tenybris. Oh, and to watch season seven of Friends. · Toshi. He’s always hogging the remote control to watch the football. Oh, you didn’t mean that, did you? · Well, there is the aforementioned ancient evil force that is currently locked away in a magical prison. That, and a beast he unleashes to kill us all. Throw in an evil regime, a corrupt politician, and a band of misfit friends, and that’s about it. 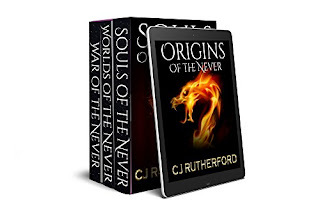 · There are three books in the series, plus the FREE prequel novella, Origins of the Never. 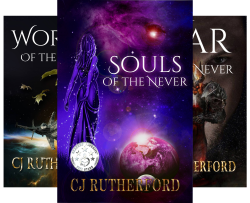 Book one is Souls of the Never, then there’s Worlds of the Never, and War of the Never. · They are also available on all the major books stores. My Interview with William L. Stuart! I appreciate you taking the time to meet with me and for allowing me to introduce you to my readers! 1. To begin with, I’d like to ask you to please describe yourself? In your own words, who are you? · Wow, tough question. I guess I would describe myself as a father, grandfather, the luckiest husband in the world, and accidental writer. Throw in a smidge of ex-Navy, a dash of gold and gemstone prospector, a dollop of optimism, and you have me! 2. I know your road to becoming a published author was inspired by your wife, Lana and her blog. I am interested in learning more about this. · What about Lana’s blog specifically motivated you to write? o Lana took a chance launching her blog almost 8 years ago. As I later discovered, it takes a leap of courage and faith to put your thoughts out into the world for public scrutiny and comment. When my grandson first suggested I publish the books, I drew on Lana’s bravery and took the chance! 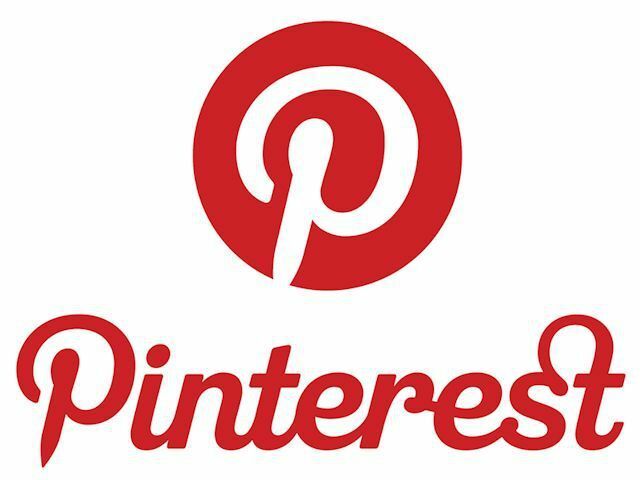 · How did her blog lead you to publishing books? I mean, you have a blog yourself. Why didn’t you simply invest in building your blog; why did you opt to write, not just one book, but a whole series? o The blog came well after the books. I started writing the series in 2010, with The Carnelian published in August 2012. My blog started a couple of weeks before the publish date. 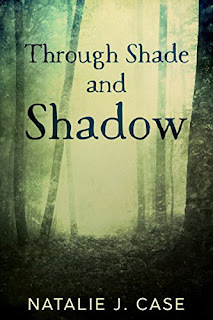 The blog was merely an extension of my writing and allowed me an outlet for news about the upcoming books in the series, posts about gemstones, and reviews of fellow authors’ books. 3. Your book series is called The Gemstone Chronicles. I know hunting and working with gemstones are hobbies of yours, but how did they impact your choices when it came to writing your books? · My grandson and I were gem hunting one day and I had been researching the magical and mystical properties of gemstones. Aidan, who was playing World of Warcraft at the time, suggested I write a book about gemstones, elves, and magic. I agreed and went home and started writing. One book turned into four! · Were you always a dilettante of gemstones or when did you become involved with them? o My brother John and I wanted to find a new activity for his daughters and my grandson not long after Lana and I moved to North Georgia. We found a spot that allowed us to dig through the tailings from a gold mine and keep what we found. John and I were hooked and try to get up there at least once a month to hunt for more! · The information you use about gemstones in your book is very detailed. More so, it is relevant to the storyline, enriching not only the characters but the powers they display. Did you research gemstones for your novels, or how did you learn so much about them? o Before I wrote the first book, I spent hours doing research on gemstones. I knew I wanted certain powers to be associated with each stone, so I researched all stones until I found the ones I wanted for the stories. I have since continued to learn more about the stones and will likely incorporate them into future stories. · Did your hobbies encourage your storyline or did your storyline encourage your hobbies? o I think both. Certainly, the hobbies brought about the storyline, but the storyline enhanced my hobbies. · I know gemstones have religious and cultural connections. They have been worn as amulets and used for medicinal purposes, often holding mystical powers. Is this why you found them to be a natural basis for your elvish world, or how did you link the gemstones with elves? Are there any myths or lore that influenced your choices? o I made up the link between the gemstones and the elves. In most stories, dwarves are the artisans who fashion things of great beauty from gemstones. I wanted the Dark Elves to be the masters of gemstones and weaponry instead of the dwarves. That set up a natural conflict between the Dark Elves and the Light Elves, and allowed the story to evolve. Other than that, I didn’t consult any myths or lores. 4. 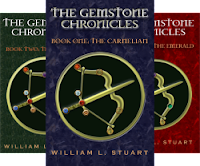 One of the things I found endearing about your book, The Gemstone Chronicles Book One: The Carnelian was the integration of your family as the characters of the tale. I absolutely adored the concept of the grandparents pursuing a quest with their grandchildren. This is where I’d like to focus my next block of questions. · What did your wife and grandkids think about being immortalized in your books? o I asked for their approval before basing the characters on them. They agreed, and the grandchildren thought it would be so cool to be in a book. I also used other family members (my brother John and his daughters are Elven scouts) as characters. Often, it was only their names turned into Elvish, but I tried to incorporate their personalities into the characters. · Reading the story, I envisioned you having conversations with your grandkids. I felt their presence in the tale as much as I sensed yours. How much involvement did they have in the development of The Gemstone Chronicles? o They really didn’t have any involvement in the stories, though Aidan was the first person to read The Carnelian. You are right, though, about the conversations. I had the conversation with them in my head as I wrote. Since each was familiar to me, it was easy. 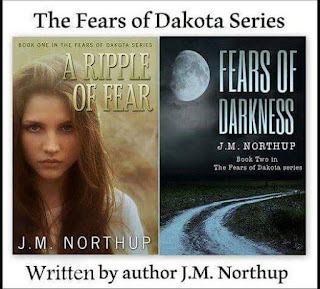 · The book was so fun to read and I am looking forward to reading the rest of the series. I can tell it was fun for you to write. That being said, what do you think the best part of writing it was? What was the most enjoyable aspect for you? o I never planned to publish the books. Writing them was simply a way to put the stories on paper so my grandchildren would be able to enjoy them for years to come. That is why I decided to self-publish rather than pursue the traditional publishing route. The books were never meant to be a moneymaking venture, but were to be something the family could enjoy. That was and is the most enjoyable part of the writing. · Did you have any difficulties bring this series to life? o No, bringing the series to life was easy. After all, it’s a series starring those I love. What could be easier to bring to life? 5. Every author has their own ways of approaching the writing process. What’s yours? · For me, I sat in my recliner in the living room and tried to write for 2 hours each night from 8 - 10. If I wrote a paragraph or a chapter, it was fine, since I had no deadline. As I look to my next book, though, I expect it will be more difficult since I won’t be writing about my family. · Do you ever get writer’s block and if so, how do you overcome it? o Unbelievably, I never got writer’s block while writing The Gemstone Chronicles. Interestingly enough, my first bout of writer’s block came when I was writing the dedication and acknowledgement for the first book. I really struggled with it. 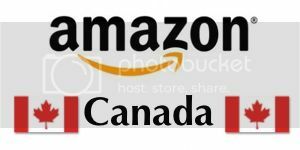 · Do you read reviews? This is a much deeper question than it appears. 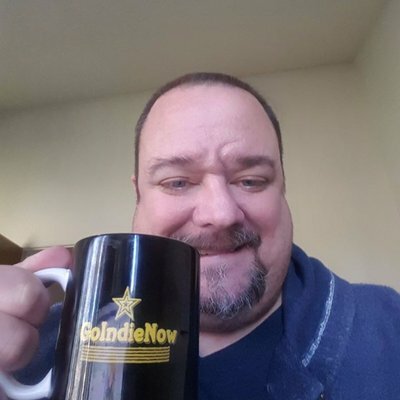 I am interested in knowing if you read reviews before your select a book as a reader as well as whether or not you read the reviews for your writing. o I don’t read reviews for books I want to read. I look at the cover, read the blurb and make a decision based on those factors. o As for my own books, yes, I read all the reviews, good and bad. I don’t comment on reviews other than to say ‘thanks’ to the reviewer. 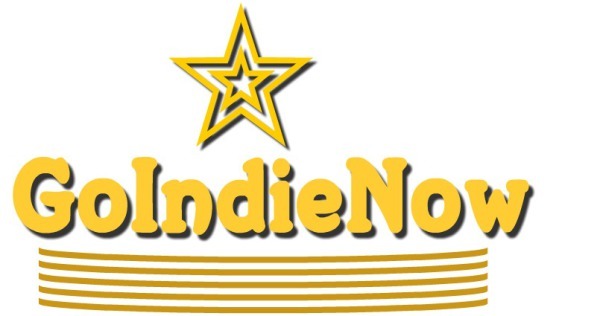 o I often “like” reviews on Goodreads and Amazon and will tweet reviews on Twitter with links back to the review. I hope by doing this, I bring attention to the reviewer and drive traffic to their blog or website. It’s another way of saying ‘thanks’ for taking the time to read my books. · As a reader, what do you look for in a book? Do reviews influence your reading choices? o Reviews rarely influence my choice of books. I mostly read fantasy and thrillers, but will read most anything if it seems interesting. o I will consider books that get buzz on Twitter and Facebook or books recommended by friends, too. 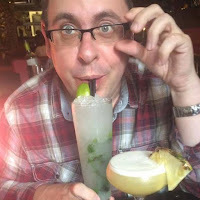 · Do you perceive reviews differently now that you’re an author yourself? o Until I became an author, I didn’t really consider reviews at all. I didn’t read them and didn’t write them. I have since learned how important reviews are to authors. Not just because it means people are reading the books, but also because it allows the author to know whether their work appeals to readers or not. · From an author standpoint, how do you deal with negative responses? o Even when I get a less than favorable review, I try to take something positive from it and thank the reviewer. It’s difficult, sometimes, since as much as I try to have a thick skin, destructive criticism hurts. I can handle, and even enjoy getting constructive criticism, but destructive criticism is hard. 6. You have led an interesting life, to say the least. You’ve served our country in the U.S. Navy aboard a submarine. Having served in the U.S. Air Force, I’d like to discuss this adventure, if I may. · You earned the Blue Nose Certification. Can you please explain what this means to my readers? o First, thank you for your service. It’s always a pleasure to connect with those who served. My father was a retired tech sergeant in the Air Force, so we have that in common. o The US Navy has a number of ceremonies for crossing certain areas of the globe. For instance, until you cross the equator, you are a pollywog. Once you cross the equator and go through the ceremony, you are a shellback. Similarly, when you cross the Arctic Circle, you are a Bluenose. o I was privileged to do under ice operations while stationed aboard USS Sandlance (SSN660) and earned my Bluenose certificate. The purpose, I believe, is to further the bonds among the crew and allow sailors to have the distinction of going places and doing things most people will never have the chance to do. · I feel like it’s easy to think your battles scenes have a basis in your military training, but that isn’t necessarily the case. As we’re taught in basic training, you should never assume anything. That being said, did your battle strategies for your stories come from lessons learned while in the service, or did you acquire the know-how from other means? o I guess some of my military training played a role in the battle scenes, but I think RPG video games influenced them more. I’m not a hard-core gamer, but have played RPGs for years. I thought about games like The Legend of Zelda and Final Fantasy. The battle scenes in the books tried to incorporate some of that action. · Do you think your military experience has made any sort of impact on you as a writer? If so, how? o I think so. One of the things about submarine duty is you learn how to concentrate on something for hours. Standing watch at the reactor plant control panel for 6 hours out of every 18 (yes submarines run on 18 hour days underway), teaches you to be focused. I believe it helped me when I wrote the books, since I sat in the living room with the TV on and was able to write anyway. o I also incorporated things I learned in the Navy in the books. I don’t kid when I say the submarine force couldn’t go to sea without duct tape! 7. What can we expect to see from you over the coming year? 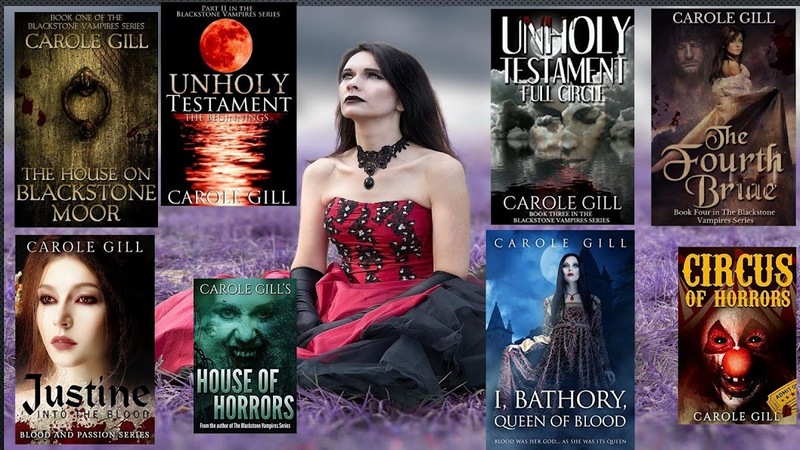 · I have to do some corrections/revisions to Books 3 and 4. I received feedback about a few typos in the books and have to get those corrected. 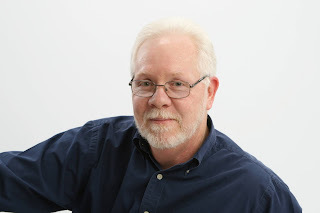 · I just started James Patterson’s Master Class on writing and want to finish it while I work on my next books. · Do you have plans to expand The Gemstone Chronicles or do you have a new project in mind? o Sadly, The Gemstone Chronicles is finished. I planned it as a 4 book series and I don’t see extending it. I have a new project in mind and it appears to be a thriller written for adults. But, as you know, the story will take its own path, so we will see. o As I mentioned above, my WIP is a thriller. It doesn’t have gemstones in it, but stone slabs have a major role in the story! o The book is in its infancy and doesn’t even have a working title yet. I’ve really enjoyed talking with you today, William. I wish you the best in all you do! 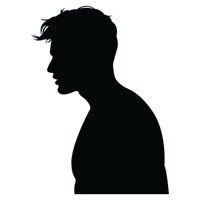 · I am a Shadow, a person with abilities of the mind that extend beyond that of a normal person. Among the tribe, those gifts are varied and include telepathy, telekinesis, pyrokinesis, prophecy and other things. My personal gift is empathy. I can feel what the people around me feel, with varying degrees of intensity. It makes me good at reading the mood of a room, or comforting someone in distress. · In 2015 or so, in the suburbs of Sacramento, CA. Well, it starts there anyway. That’s where I live with my father, who is a city councilman, and my mother who is a teacher. Eventually, we are forced to leave the area though, to keep our people safe. We retreat into the California mountains. · My goal is to keep my people, my tribe safe and prevent civil war from destroying the country. Sometimes knowing the future can help you prevent it from happening. Sometimes knowing the future means watching it happen no matter what you do to stop it. I find myself somewhere in the middle of those two outcomes. · There is a conspiracy that I haven’t quite unraveled behind the political mess that is the start of a presidential election and the militia known as the 8th Battalion. The immediate concerns are getting my people out of harm’s way as the 8th Battalion moves into Sacramento, but there’s something more that I haven’t been able to unravel just yet. I’m hoping that finding the Shade that the visions of the future have mentioned will point to some answers, if the 8th Battalion doesn’t kill one or both of us before then. MARNIE CATE IS IN MY HOT SEAT! 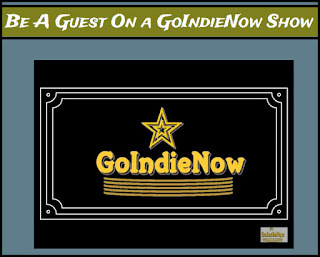 Author Sahara Foley Is In My Hot Seat!